AQUATREAT operates in a highly competitive world in which the need to provide product excellence is paramount. Our objective and commitment is to pursue ever ending improvement in quality and design, ensuring that our customers receive the best possible product economically available. AQUATREAT believes that quality values must be internalized at every level of the organization. Our approach to communicating and implementing these values is one of encouragement, education and training. Ongoing education and individual support provide employees with the tools, confidence and motivation they need to implement AQUATREAT's quality philosophy. All AQUATREAT procedures starting from first being approached by the client, through offer preparation, engineering, procurement, fabrication, installation, project management, commissioning and ending by the final handing over to the client are governed by AQUATREAT Internal Quality Assurance Manual and are audited periodically by the Quality Control Department. Stringent measures are taken against any non-conformity. Quality performance is a commitment to excellence by each of AQUATREAT's employees. It is achieved by teamwork and a process of continuous improvement. Quality at AQUATREAT is never compromised. 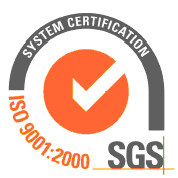 The company is committed to continually improve its management system through implementing and complying with the requirements of ISO 9001: 2000 quality management system, which covers all the company’s operations and applies to all company’s personnel. The company is committed to establish and continuously review the quality objectives that it strives to achieve through the periodic meetings of its quality steering committee.